It might be growing redundant to hear film critics repeat the line “one of the best of 2016” with every review they publish this time of year, but that’s the nature of the beast, blame the studios for waiting until November and December to release their Oscar hopefuls. As is often the case, since the directors, writers, and actors involved are all top talents, these films are actually as good as they are advertised to be, leading to us as critics heaping praise of everything we publish as the weather gets colder. I attempt to throw in a few caveats; perhaps top ten, as of now, solid for the season, waiting for others before final judgement. 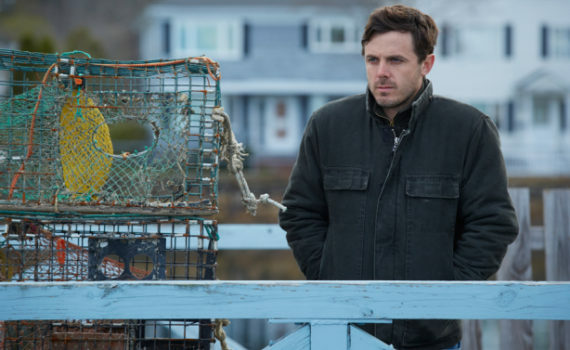 But with Manchester by the Sea, all hedged bets are suddenly tossed onto the table, as I am faced with the very real possibility that this could be the best feature of the year, something that only comes along once in a blue moon, a movie that just can’t be denied. Lee Chandler, a janitor in Boston, seems decidedly uninterested in human contact of any kind. He won’t chat with the tenants of the buildings he manages, won’t strike up conversation with women at the local bar, won’t respond to any attempts at communication, and would literally rather fight you than look at you. This bitter, defensive rage comes from a dark past, but is buried so deep that it might never come to light, and Lee, very likely, will never be a happy person. It doesn’t get better either, as his brother Joe, whose life expectancy was short due to a failing heart, finally dies, leaving behind a teenage son in Manchester named Patrick, a good kid in all respects, a young man who now finds himself alone in a big New England house. One last surprise is coming Lee’s way, and that’s Joe naming his brother as Patrick’s guardian shortly before his death, a forced relationship that neither will relish and that neither will know how to accept. Since I saw it in August, Hell or High Water has been my favorite film of the year. I was worried that is might become forgotten as Oscar season approached, become buried under the weight of the big boys, and I sincerely hope that does not happen. 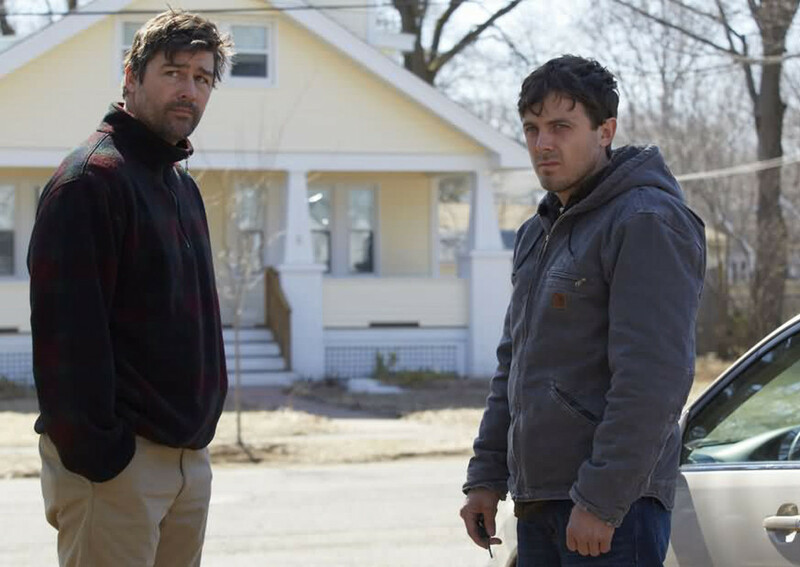 However, it has just been passed on my list by Manchester by the Sea, a similar film in many ways, completely unique in many others, but a comparatively excellent project from start to finish. If I’ve said it once I’ve said it a hundred times; it takes a real genius to successfully execute the extremely simple Shakespearean philosophy that a little humor balanced with a little tragedy can produce an incredible story. The jokes are funnier, the deaths are more heartbreaking, and the end result is something magical. Again, easy idea, difficult to pull off, but it worked in HOHW and it works in MBTS, proving that there is still previously untapped talent out there, filmmakers with that special gift who are just waiting for their chance to share their skill with us. So the story and the direction work to perfection, Lonergan in charge of both, and the table is set for a real feast for hungry audiences. All that’s left is to write some solid dialogue and to choose the correct cast; done and done. I’m not sure I’ve ever seen a film that felt so natural, so realistic, so much as if I’m watching the world through a frosted window. People make mistakes, people are awkward, people forget where they parked, people fall down, people eventually (both metaphorically and literally) pick themselves up, and this film brought those ideas to the screen in a way I have rarely seen before. Give Casey Affleck credit for putting the film on his shoulders and somehow doing so very quietly, very self-deprecatingly. Hedges was amazing, Chandler was the perfect choice, Michelle Williams has a nice cameo, and even (and oddly) Matthew Broderick pops in for a minute, adding a hint of humor to an awkward situation. 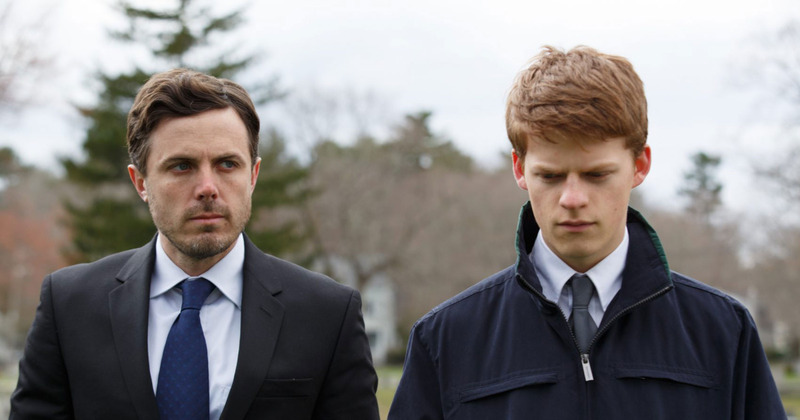 There isn’t much I can say negatively about Manchester by the Sea, so I won’t try, instead I’ll simply leave you with my full recommendation and my hope to see this film at the Oscars.